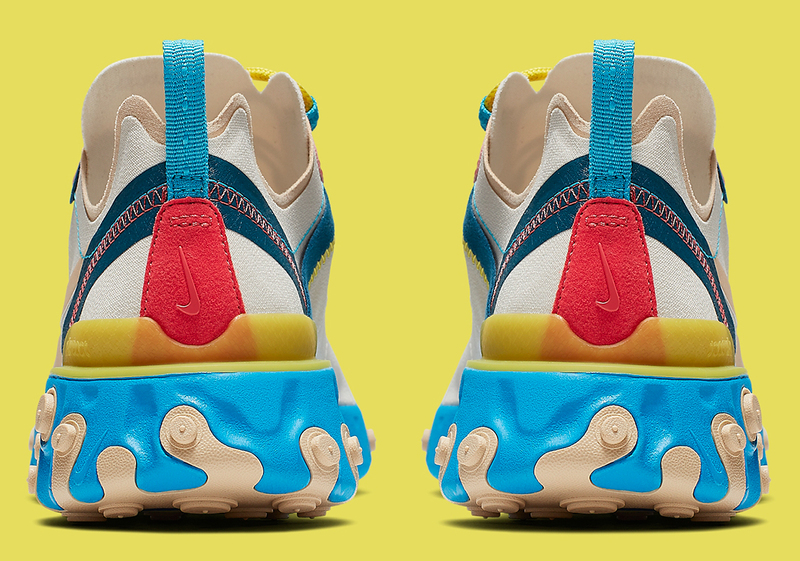 Nike's react technology has been turning heads over the last year and with good reason. This latest midsole courtesy of the Beaverton brand is doing its best to compete with Adidas Boost and so far it's working. 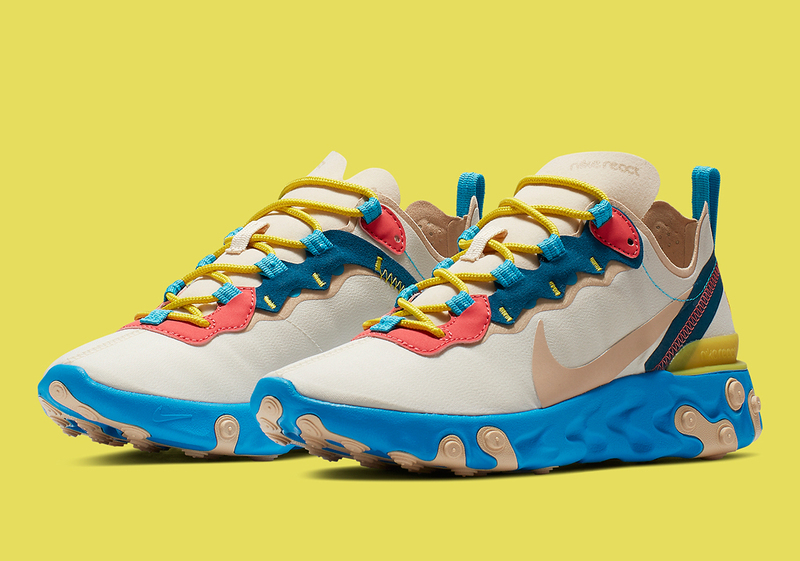 With the Nike React Element 55 and 87, the brand is looking to make react a household name when it comes to lifestyle shoes. While there is some work to be done before the general population gets completely on board with the new silhouette, sneakerheads have already taken quite a shine. Thanks to the success of the Element 55, Nike has been releasing various new colorways of the shoe and today, we got a fresh look at the latest model. This one is dressed in a tan upper, while blue makes up the majority of the outsole, all while tan plugs are present. 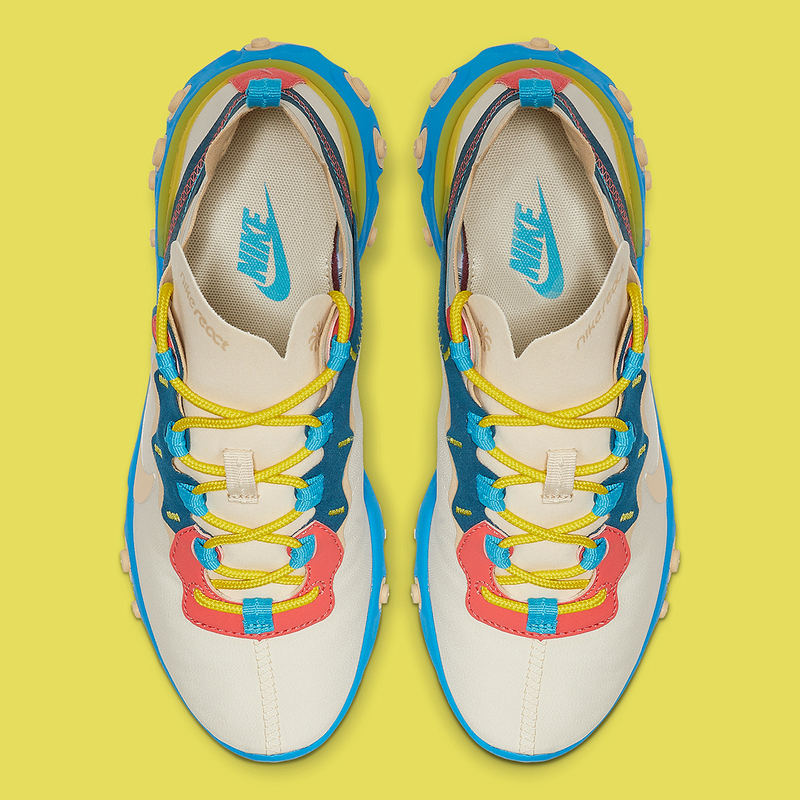 Yellow, blue, and red highlights are sporadically spread throughout the upper, particularly on the back heel and around the tongue. So far, there is no concrete release date for these, although Sneaker News is reporting that these will be coming out on nike.com in the near future for $130 USD. Will you be looking to cop these or is it a skip?